July 31, 2012 | Posted by Lee C.
Like most criteria for finding a restful night of sleep, the perfect temperature for sleeping at night can vary from person to person. But, if you are having trouble falling asleep or staying asleep, chances are your room is the wrong temperature. A few nights of trial and error will help you determine the perfect temperature for sleeping. According to WebMD, your body temperature drops as you go to sleep, so that your core temperature is a little cooler at night than during the rest of the day. If you body has trouble maintaining this temperature during the night, you are likely to wake up. So, if your room is too hot or too cold, or if the clothing you sleep in or your bedding is not quite right for your needs, it could be keeping you up at night. Hands and feet are particularly important to pay attention to as you fall asleep. As your body temperature cools down, your hands and feet radiate heat. If these extremities are too cold, you may have trouble falling asleep. You can put on socks, or warm your bed ahead of time with a heating pad to help keep your hands and feet warm until you achieve sleep. If you share a room, you will have to have some compromise with your partner, as their ideal sleeping temperature may be different than yours. You can adjust with clothes, sheets and blankets. But if you both agree, you can try turning the thermostat up or down. 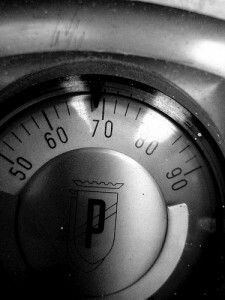 Turning the thermostat down at night is a great way to save energy and many people sleep better in a cooler room. However, if you are turning it too low, blankets may not be enough to keep you warm. Try turning it up a little for a few nights and see if it improves the quality of your sleep. You may need to keep a journal for a few nights, keeping track of the thermostat setting and rating the quality of your sleep, in order to find your ideal temperature. Also, make sure your bedding is appropriate for the season and for your needs. If you are waking up too hot in the night, you may need to find a comforter or blanket that is a lighter weight. If winter and summer are extreme where you live, you may need to alternate your bedding accordingly. Check out these posts on suggested bedding mattress pads for maintaining the right temperature. Studies show that 60 to 68 degrees Fahrenheit is the optimal sleeping temperature in a bedroom, but everyone has individual needs and you may need to adjust accordingly. What is your perfect sleeping temperature? What tricks have you used to achieve it? July 28, 2012 | Posted by Lee C.
You may have noticed a significantly higher price tag on organic cotton products than on products made with conventional cotton. It is not the organic trend that drives this price, but the greater cost that comes from the risks associated with raising organic cotton. Stanford University sites some of the difficulties farmers face when they transition from conventional cotton to organic practices. In order to be certified organic, farmers must farm without chemicals for three years. This ensures that the soil is free from chemicals used in the past. Cotton grown during this time is called transitional cotton. The crops are small because the soil has not yet recovered from its previous intensive use and the risks are high because the farmer is no longer using chemicals. However, this cotton does not receive the higher organic price in markets because it is not yet certified. Most farmers must take a loss for three years in order to switch from conventional to organic growing practices. Weeds among organic cotton must be removed by hand. This takes much more manual labor than conventional cotton, that is sprayed with herbicide to remove weeds. Farmers of organic cotton must pay more people for labor per acre than farmers of conventional cotton. Part of organic farming also means that crop success and failure is more dependent on the weather and other environmental factors such as pest infestations. Each year organic farmers are taking a greater risk than conventional cotton growers. In order for organic cotton to be viable, prices must be higher to account for the annual and seasonal crop loss. According to the Organic Trade Association, only 1.1 percent of cotton grown worldwide is organic. While the cost is high for farmers to raise organic cotton, markets can make it worthwhile. As more consumers pay for more organic cotton, producers will demand more organic cotton from growers. This will make the risky transition to organic cotton profitable for growers. Even now, producers are working with growers to improve cotton raising practices and reduce the amount of resources used by cotton. Monetary costs of organic cotton may be more for consumers, but the hidden costs of conventional cotton are high. Conventional cotton has high costs for human health and the environment. July 25, 2012 | Posted by Lee C.
On first thought, gray may seem boring or drab to use as part of a color scheme in a bedroom. Gray, however, is gaining in popularity. With its cool, calming effect it can complement just about any color to make a bedroom that is trendy and comfortable. Grays come in all kinds of shades. Some tend to lean more toward neutral, beige and white tones, others towards blue, green and purple tones. Gray can be very light and subtle, or it can be dark and impressionable. There is a gray for every style and taste. To view some examples of the various gray colors, see this slideshow from HouseBeautiful . Depending on what shade of gray you choose, it can be paired with just about any color. One very popular color combination is a medium, stone gray paired with a bright, goldenrod yellow. Chalkier grays will go well with dusty pastels such as lavender and pink. Charcoal grays will complement deep reds and dusky oranges. You can also get a very classic, sophisticated look with gray, black and white. There are several ways you can pair grays with other colors in your bedroom. You can paint the walls gray and use a solid color for your bedding and window treatments. Wallpaper is also regaining popularity. Gray paint would be the perfect accompaniment to a print wallpapered accent wall. Gray also works as the single accent wall with pastels as the main wall color. Another popular trend is to use gray for the wall color and white for the trim. 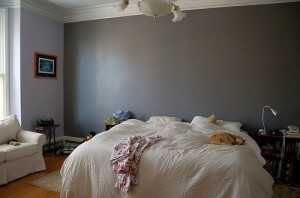 If you are considering redecorating your bedroom, think about gray as a color option. It is versatile, so you can mix and match with it, as your tastes change, without needing to repaint. Gray can be soothing and calming, especially the blue tones of gray, which is ideal for a bedroom environment. Gray can also be the perfect background for a favorite piece of art or a decorative headboard. A simple gray will draw attention to the art and will prevent the room from feeling cluttered and busy. There are a number of advantages to using gray and when used creatively, gray will be anything but drab and dull. Photo “Master Bedroom Accent Wall” courtesy of Ilovebutter. July 11, 2012 | Posted by Lee C.
On the surface, it may appear that natural and organic are the same thing. In marketing, however, they are two very different words. “Green” or environmentally friendly is a very popular selling point these days, but often the general public is not thoroughly informed about what that means. Advertisers and marketers can take advantage of uninformed consumers, and market items as “natural” when they may not be. 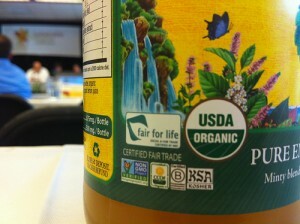 According to Organic It’s Worth It, the term “natural” is not regulated by the USDA, the FDA or any other third party. Using that word on packaging is entirely up to the discretion of the company selling the product. Often, it is implied that the product is not highly processed or contains less artificial ingredients than other similar products, but there is no guarantee that this is true. If a marketer believes it will help the product sell, they can use the term “natural” on the packaging. The word “organic” is different. Products labeled “organic” are strictly regulated by a third party. Any product that uses the label must be certified by the USDA. Products that are labeled “organic” promise that no herbicides or pesticides have been used in the growth of the raw materials, and no hormones or antibiotics have been given to animals. Each organic producer must pass a rigorous certification process. This does not necessarily mean you should not buy natural products or that natural is bad. It means you need to do more work to know what you are getting. You should always read the labels and do a little research to that you understand exactly what you are buying and why the producer chose to label the product “natural.” Look for ingredients that you recognize, that don’t have long, confusing names. These ingredients are more likely to be healthy for you. When you are in doubt, and “organic” is an option, choose organic. 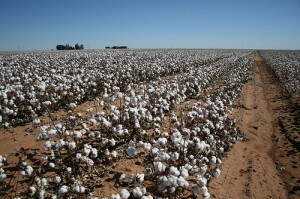 Organic bedding, for example, does not have any chemicals involved in the growth of the cotton, unlike sheets labeled ‘natural’ which most likely does. “Natural” may also be a term used by small scale growers that can not afford the expensive certification process. Knowing your local farmers and asking questions at farmers markets can help you know exactly what processes are used to grow the product you are purchasing. In these cases, natural may mean organic. Remember, “natural” is a marketing term (not necessarily good or bad) and “organic” is a certification. It is up to you, the consumer, to stayed informed and make wise purchases. Have you ever been disappointed by a “natural” product?